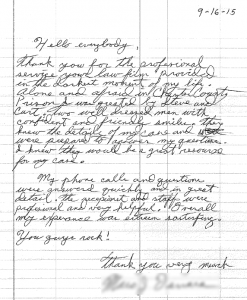 Satisfied client thanks MM&D attorneys for their work. After being arrested and charged with felony drug offenses, this defendant retained MM&D criminal defense attorneys to work on the case. The news of the arrest hit the local papers due to the high number of marijuana plants allegedly recovered from the client’s residence. After several court appearances the case was resolved with a negotiated plea by which the client avoided state prison. Instead of measuring his sentence in years, he served a number of months at the county jail. 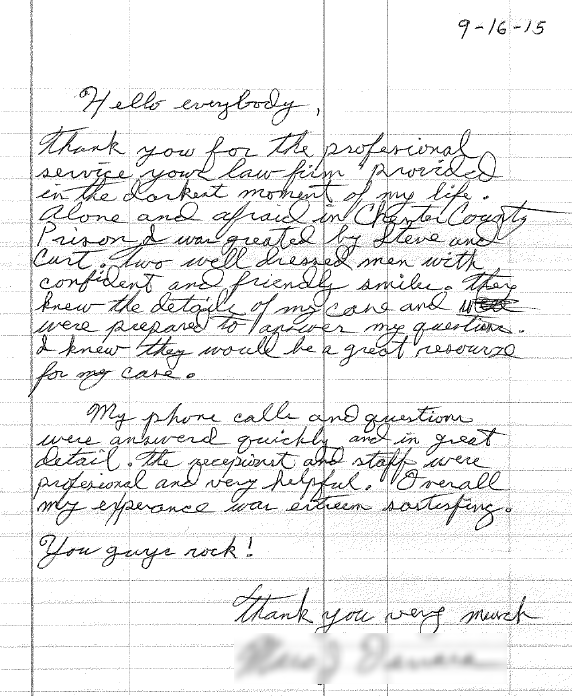 The satisfied client took the time to send some kind word to the firm to express his satisfaction and gratitude. Click on the image to the right to read the full size letter.